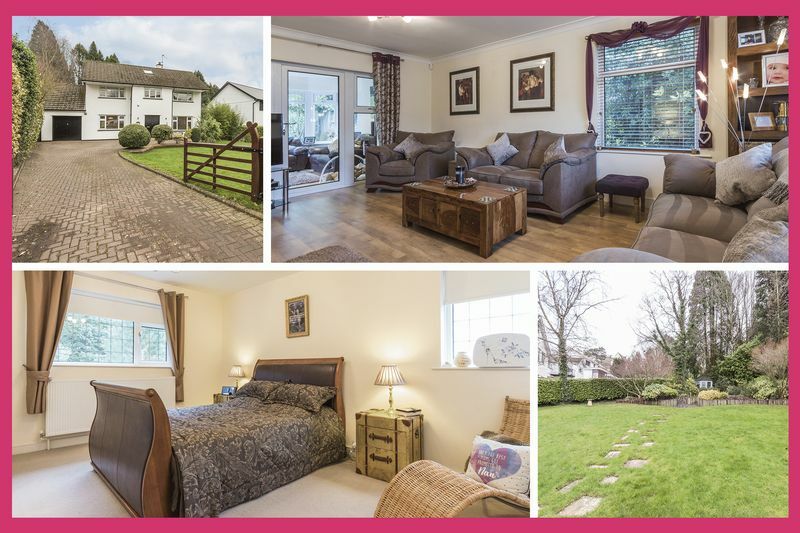 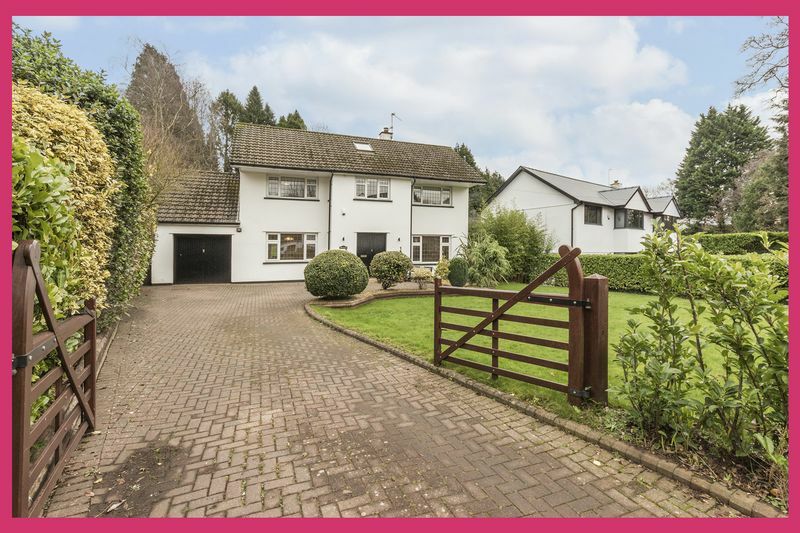 **UNIQUE DETACHED PROPERTY IN LARGE PLOT**FOUR DOUBLE BEDROOMS**LIVING ROOM**ORANGERY**DINING ROOM**CONTEMPORARY KITCHEN**UNDER FLOOR HEATING**MODERN BATHROOM**360 VIRTUAL TOUR AT https://bit.ly/2TmvvEQ**Ref#00006019** Pinkmove are delighted to offer this unique family home positioned just off Old Mill Road, in Lisvane. 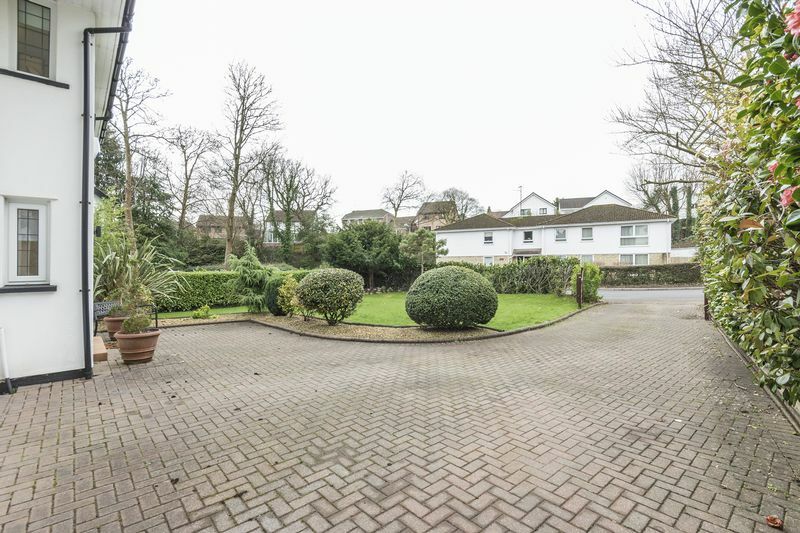 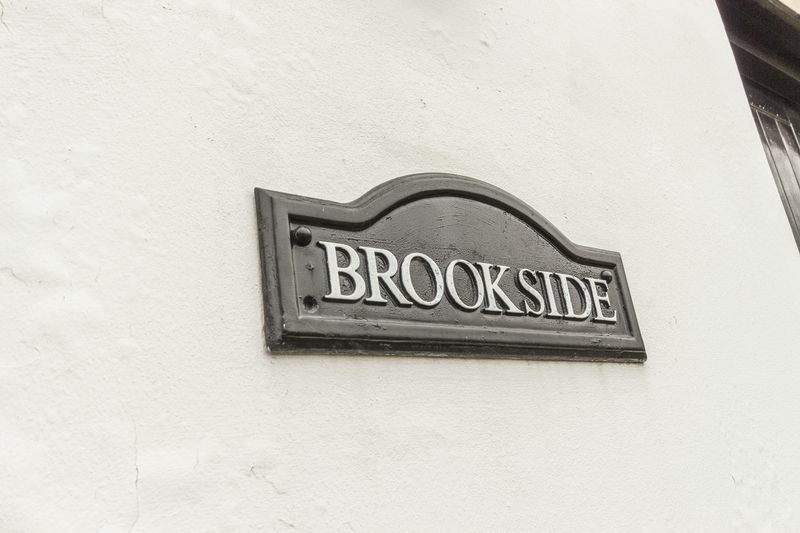 Lisvane is one of the most desirable areas of Cardiff. 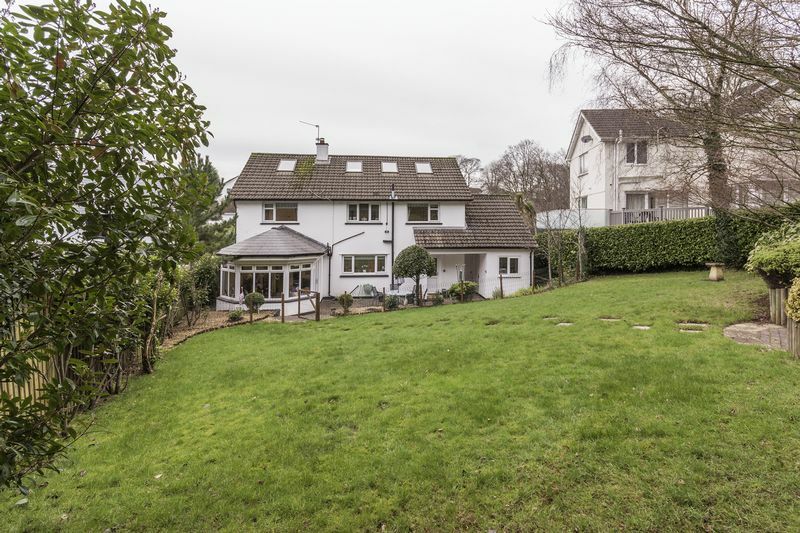 The property is on the highly sought-after Old Mill Road, located between both Lisvane & Llanishen villages benefitting from access to local pubs, shops and amenities. 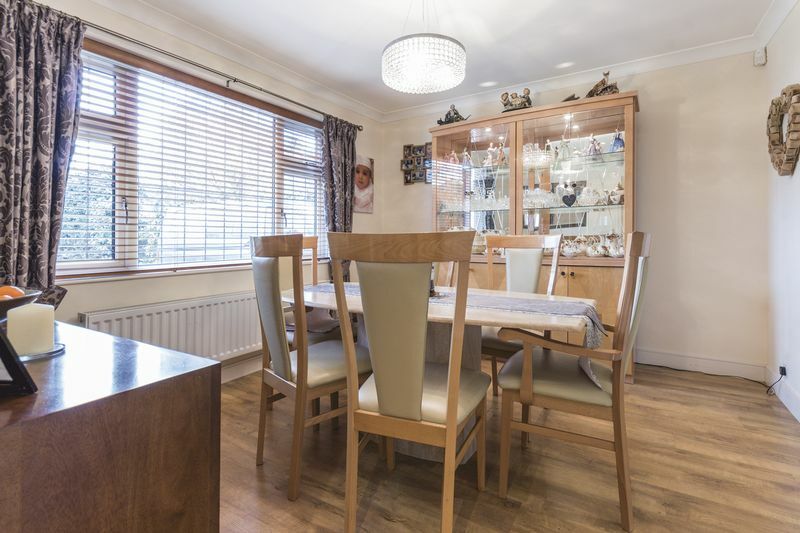 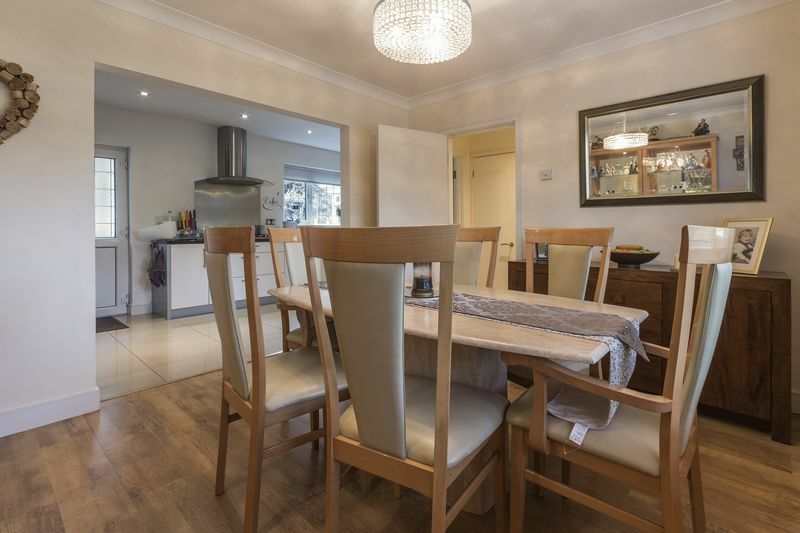 The property is set back from the road and accessed via double gates, with a wide block paved drive that leads up to a single garage, and there is off road parking for several cars. 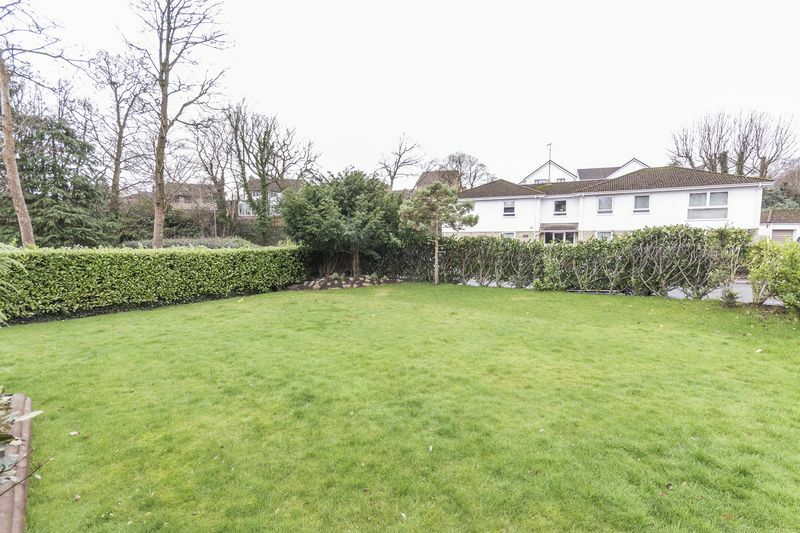 The front garden is mainly lawn with hedge borders and flower beds of mature bushes and decorative stone. 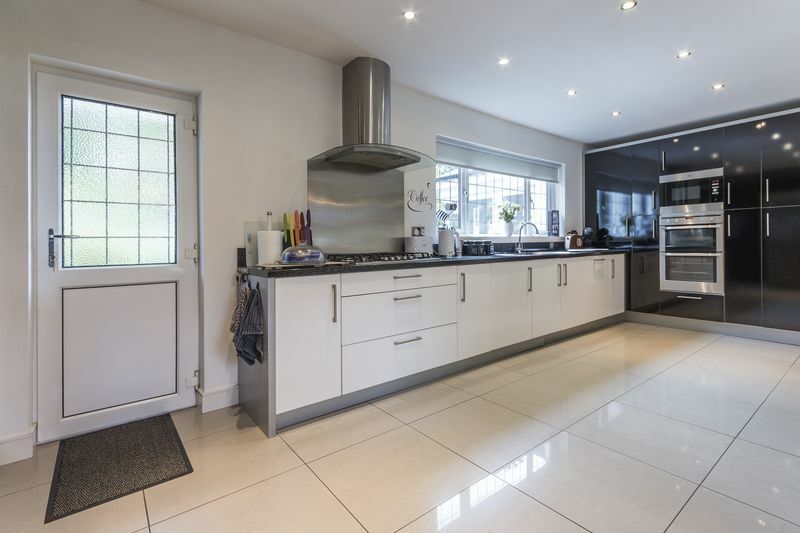 This unique modern detached house provides versatile living space, with generous sized rooms, and lies in a large secluded plot. 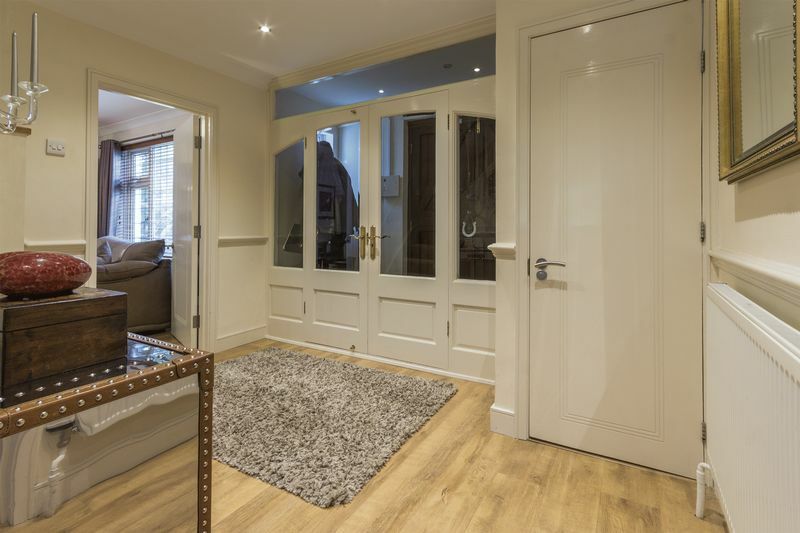 Entering the house through double doors, there is an entrance hall, this has ample room for storing coats and shoes, double doors then open into the main hall. 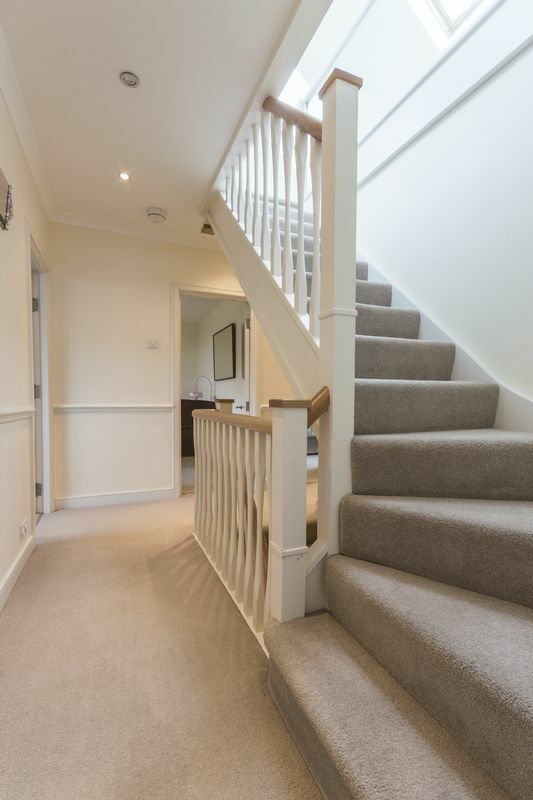 From here all the main principal rooms can be accessed as well as the stairs to the first and second floors. 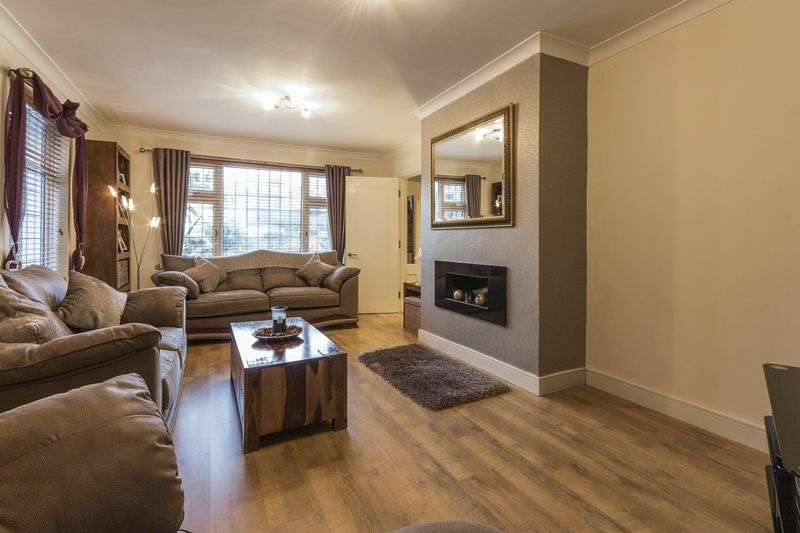 The living room is a generous size, with room to accommodate all the required living furniture, as well as having a feature fireplace. 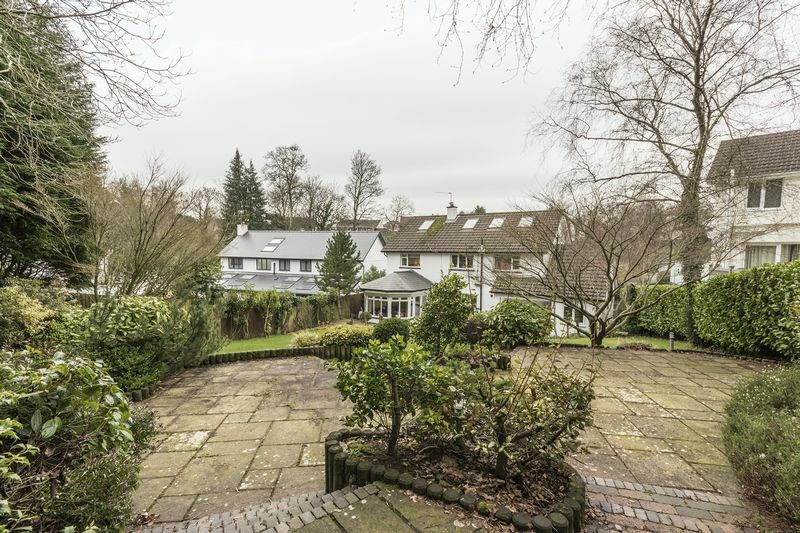 Leading from here is the orangery, this is a lovely addition to the property, allowing for an extra sitting room, with patio doors out to the rear garden. 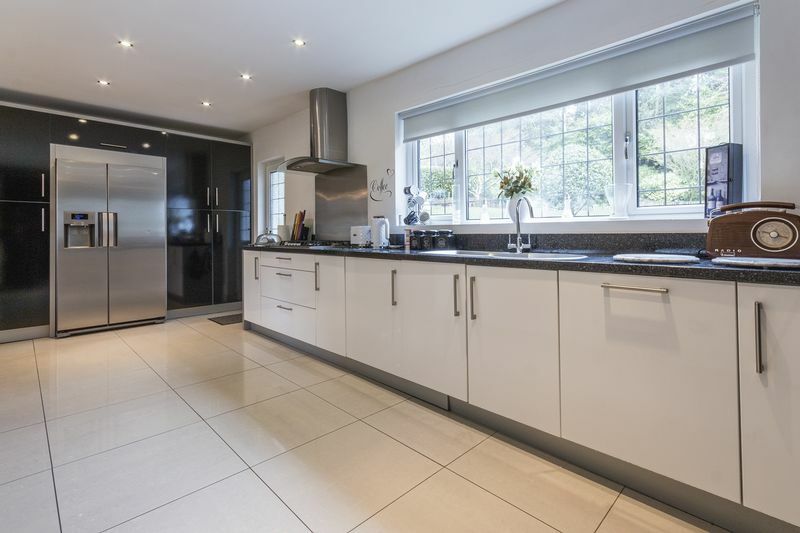 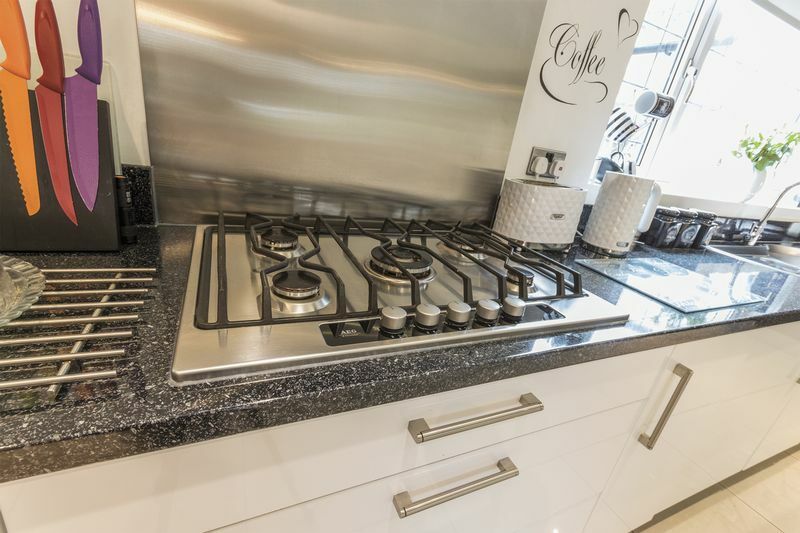 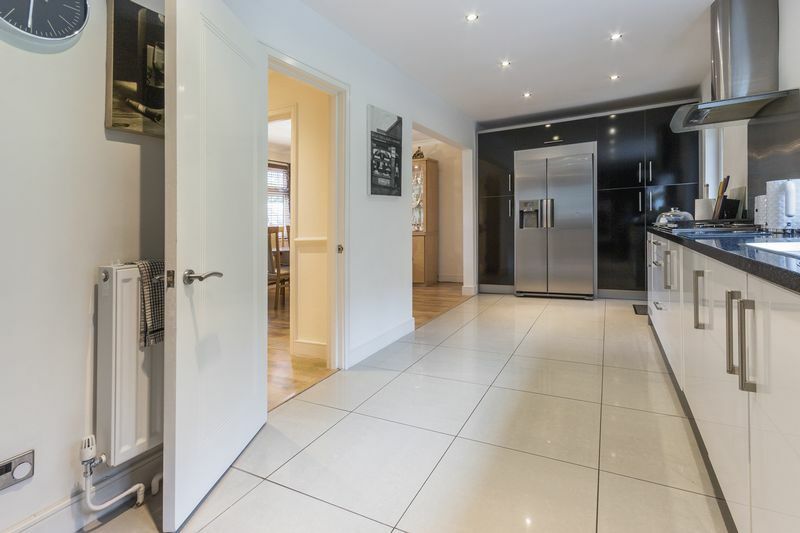 The kitchen is contemporary, with ample wall and floor storage units, plenty of work surface, and integrated appliances. 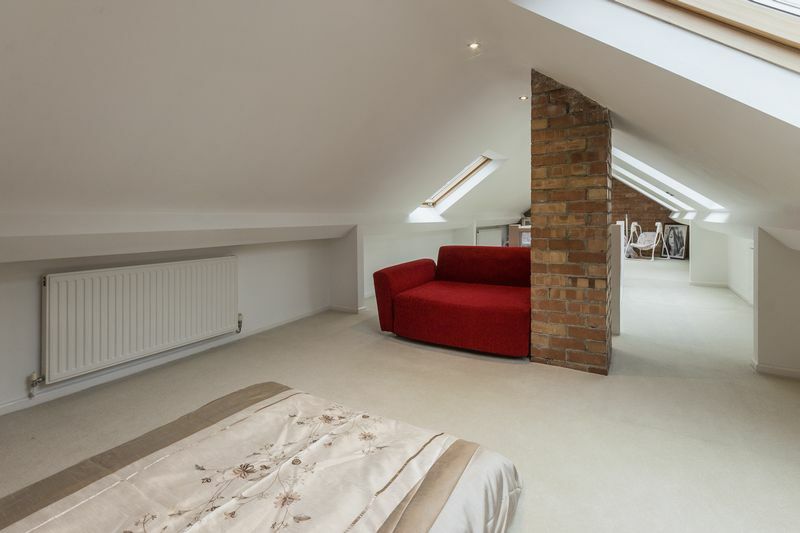 There is also under floor heating in here. 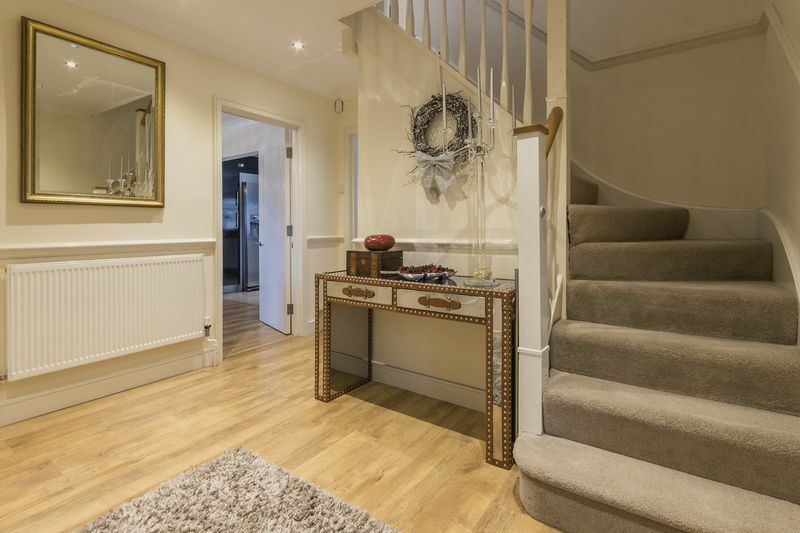 Through an archway is the dining room, this is a good-sized room, with views over the front garden, and plenty of space for a large table and chairs. 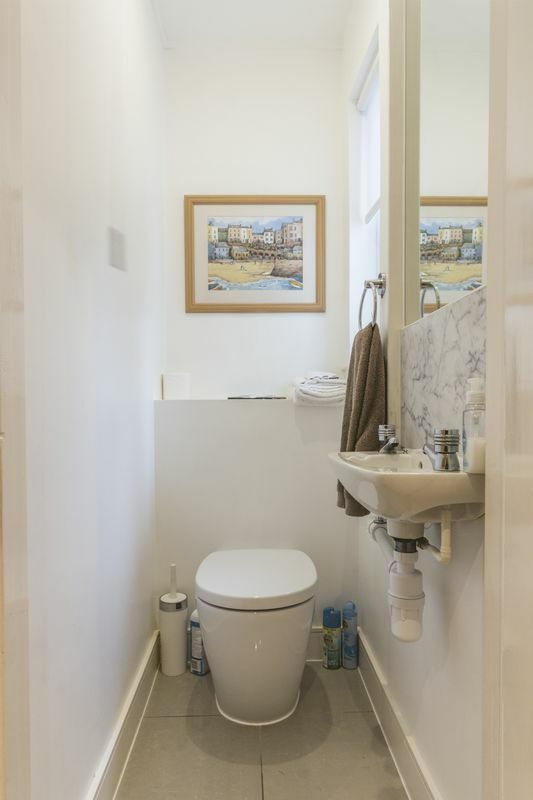 Just of the hall, there is a downstairs W.C. as well as under stairs storage cupboard. 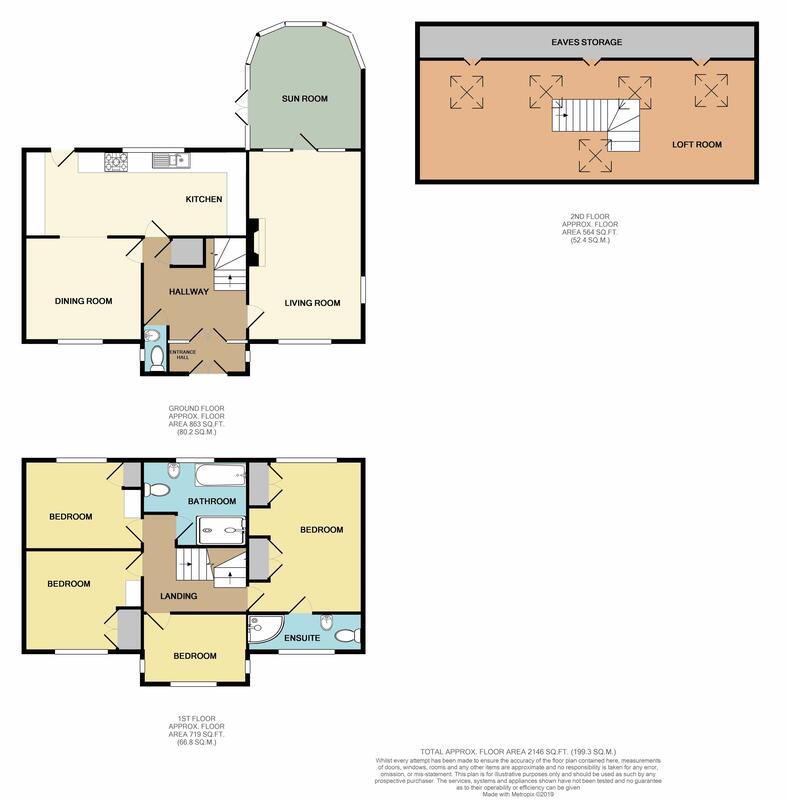 On the first floor there are four bedrooms and the family bathroom. 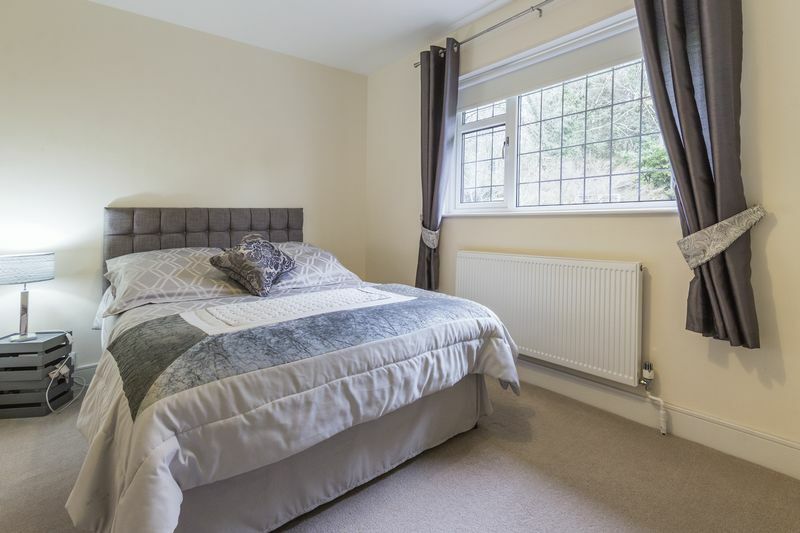 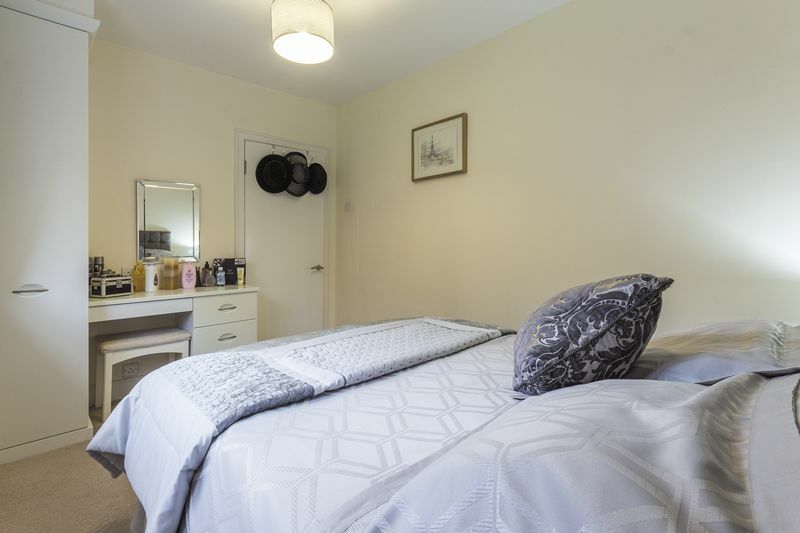 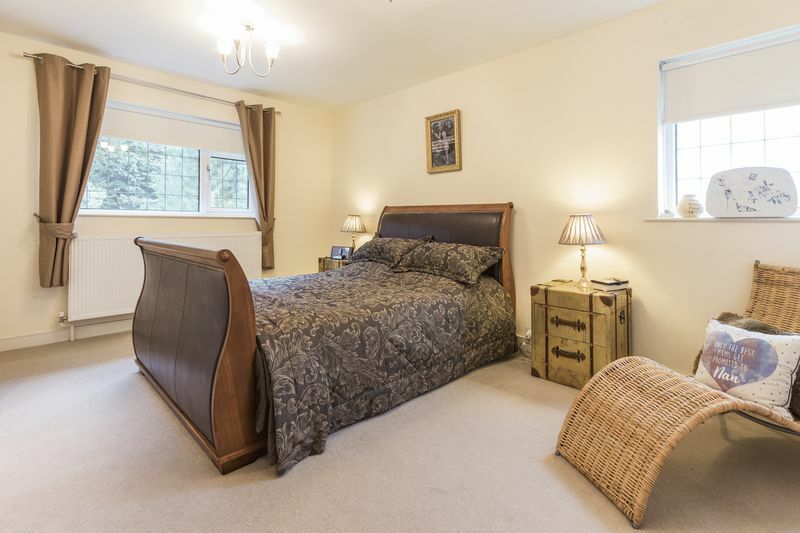 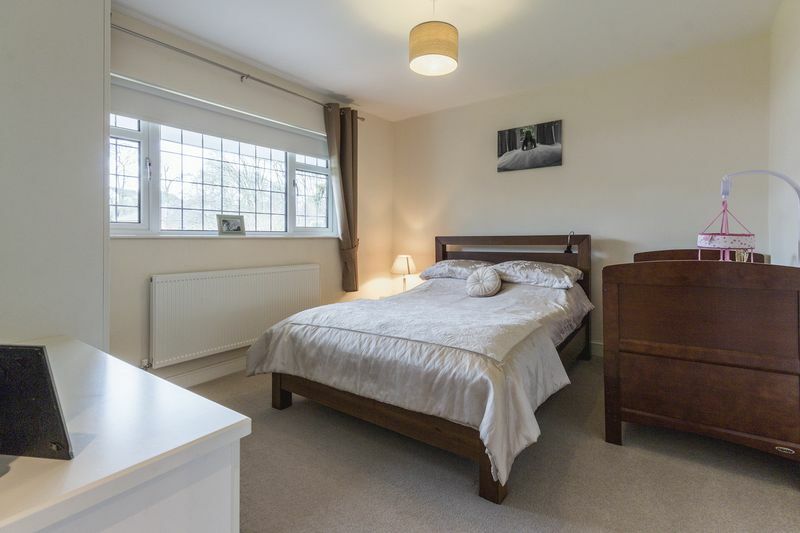 Bedrooms one, two and three all have the benefit of built in wardrobes and dressing tables, and all the bedrooms are double rooms. 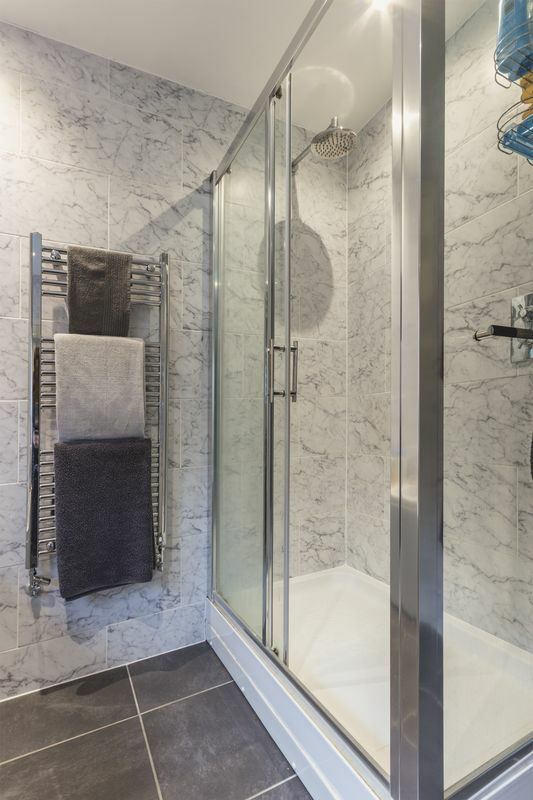 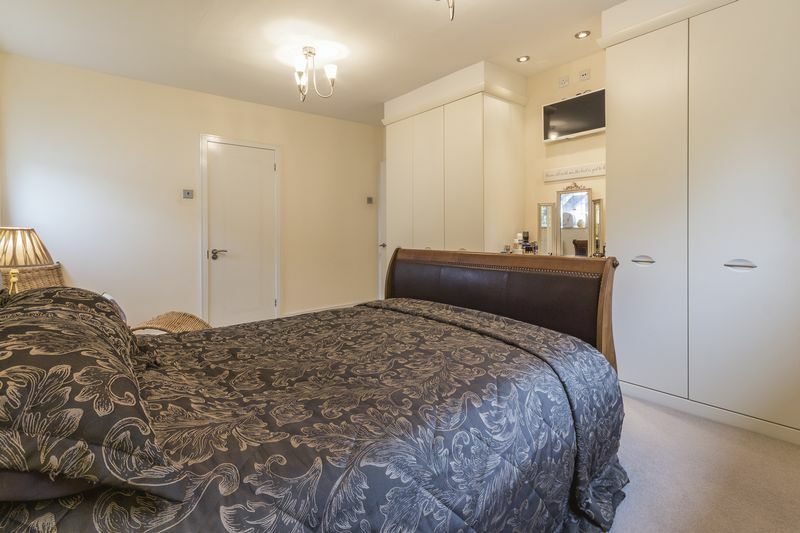 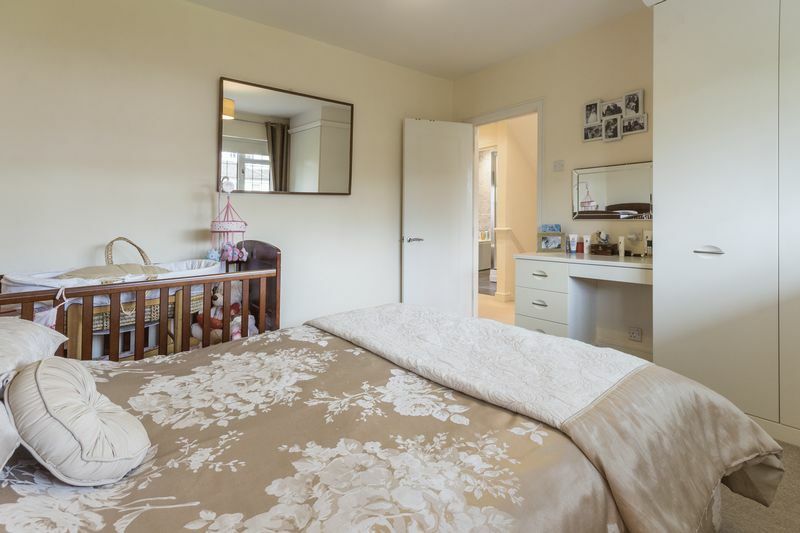 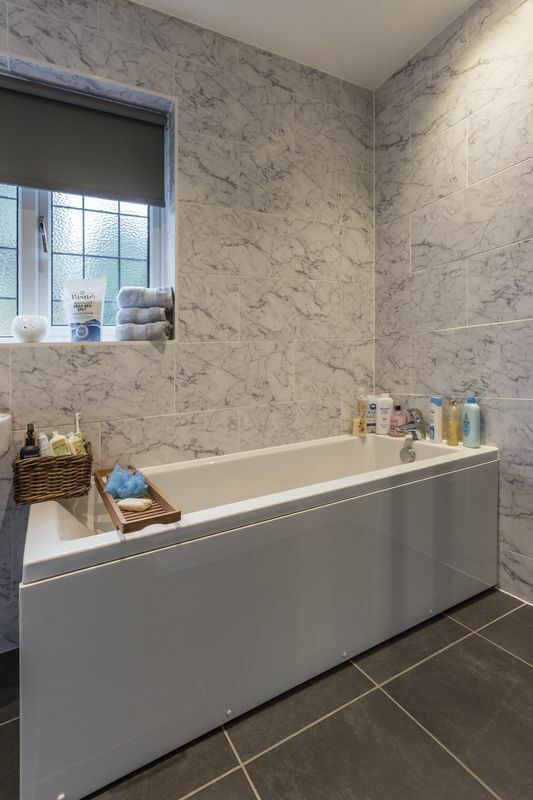 The master bedroom has the advantage of a modern en suite, consisting of a large corner shower, W.C. and hand basin. 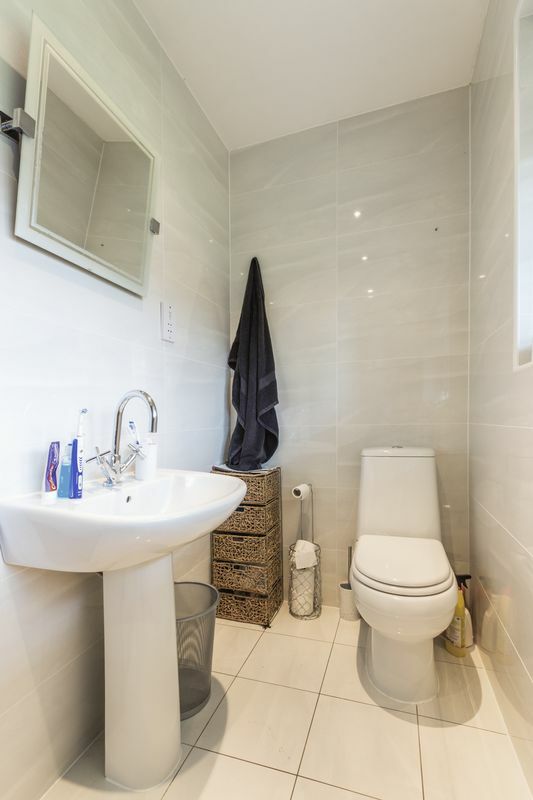 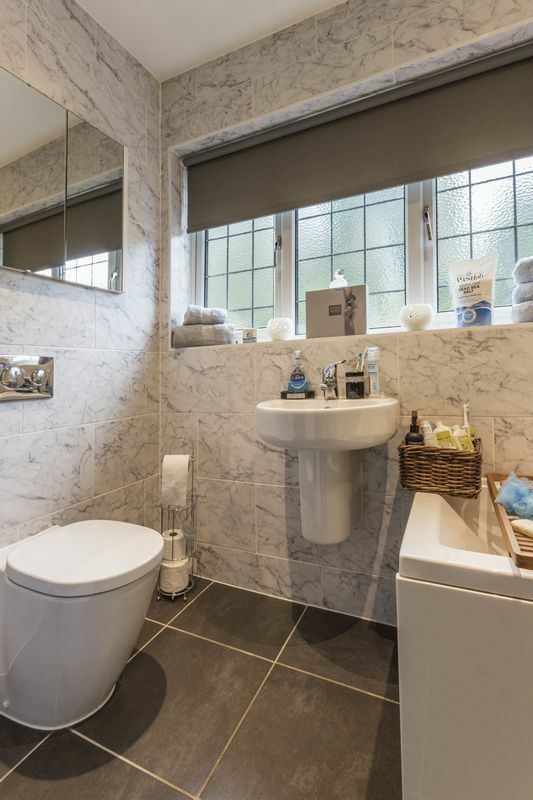 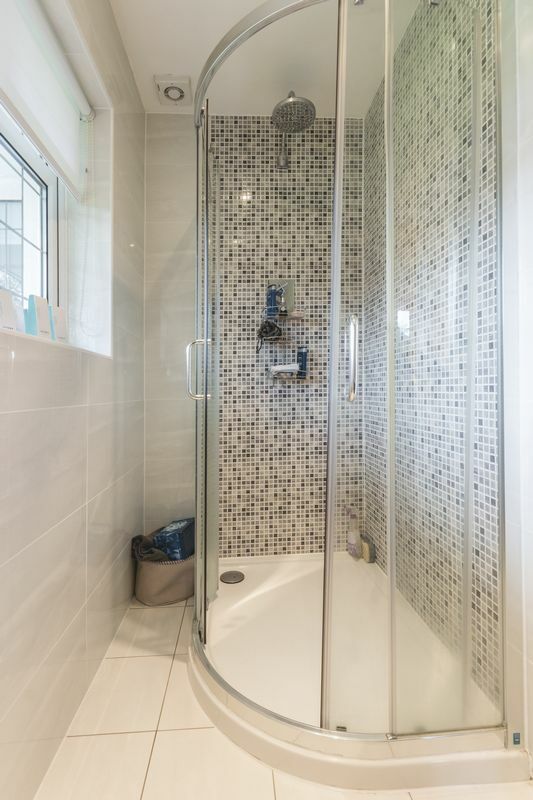 The family bathroom is larger than average, and has a double shower, bath, hand basin and W.C. 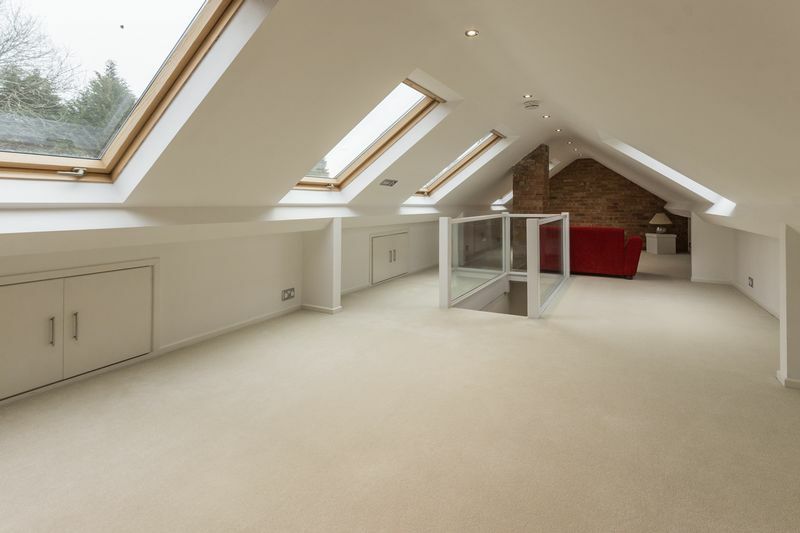 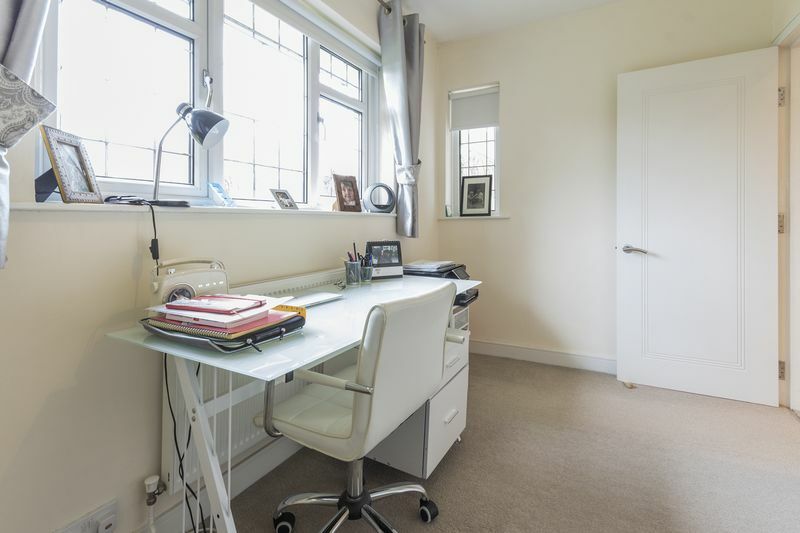 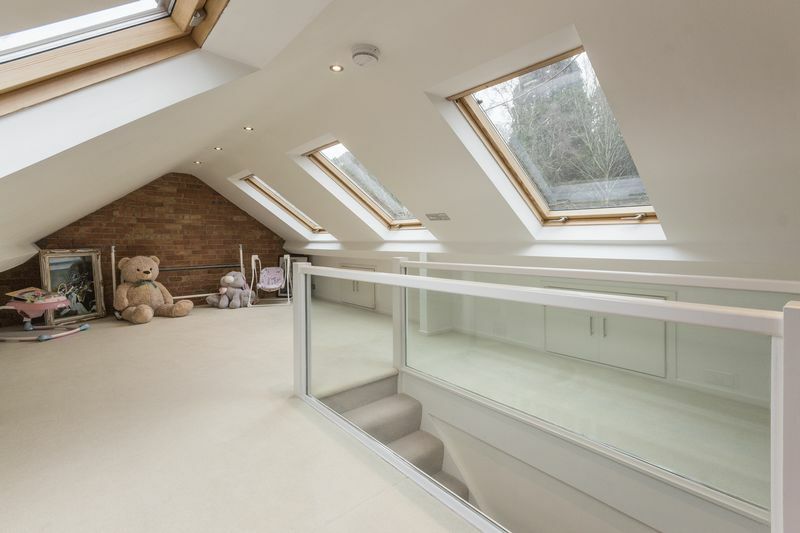 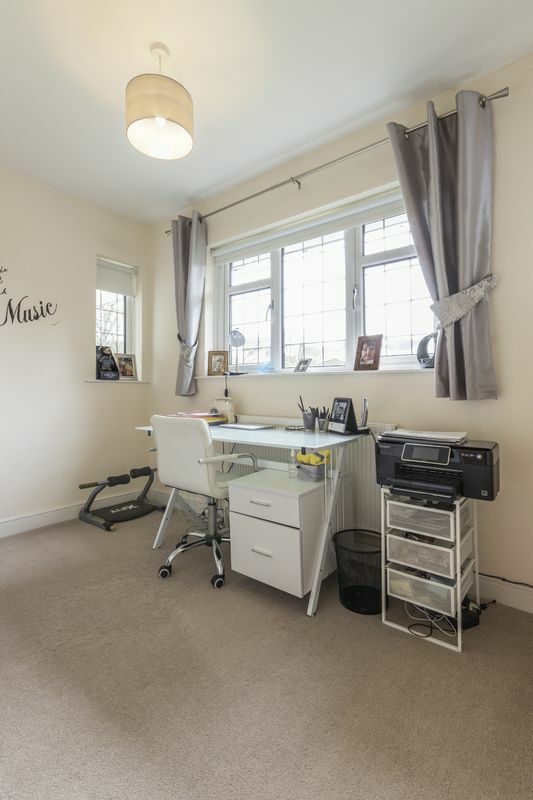 The stairs to the second floor lead up into the open plan loft room, this has the potential to be used as the fifth bedroom, an office or playroom. 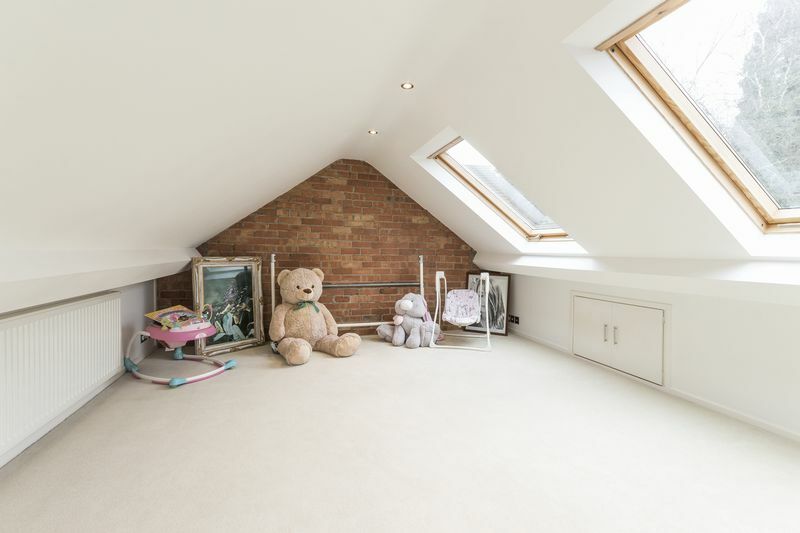 It is a vast space spanning the width of the house, it also has useful eaves storage, and Velux windows, which let plenty of natural light filter into the space. 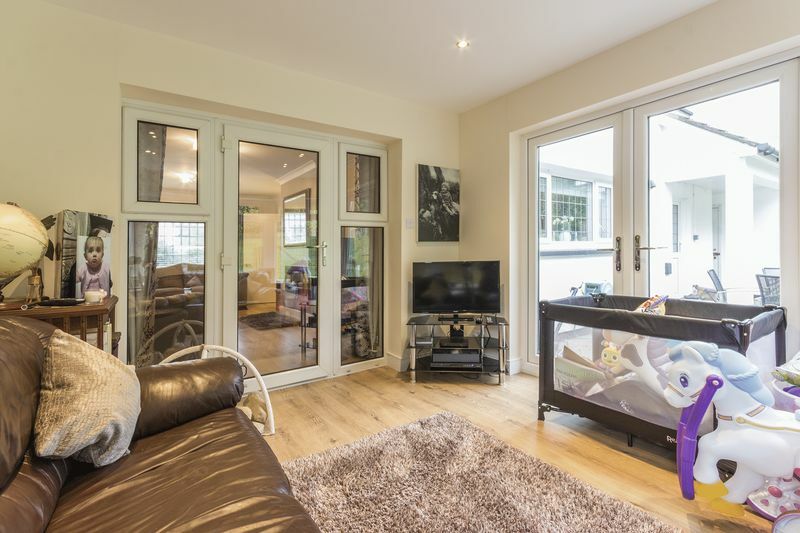 Outside the rear garden is a generous size, there is a large patio area which provides access into the utility room, which is located at the back of the garage and also rear access into the garage. 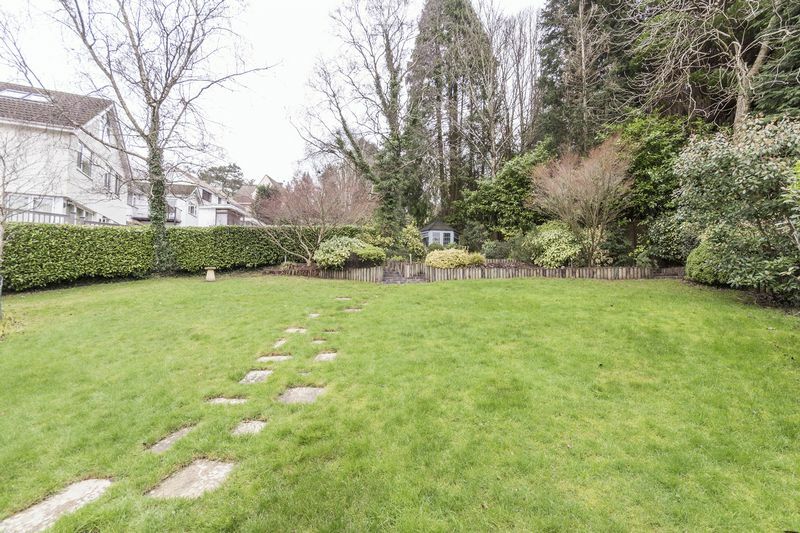 From the patio there are steps up to a gently sloping lawn, at the top of the garden there are three terraces in which to enjoy the sun, as well as enough space for a summer house. 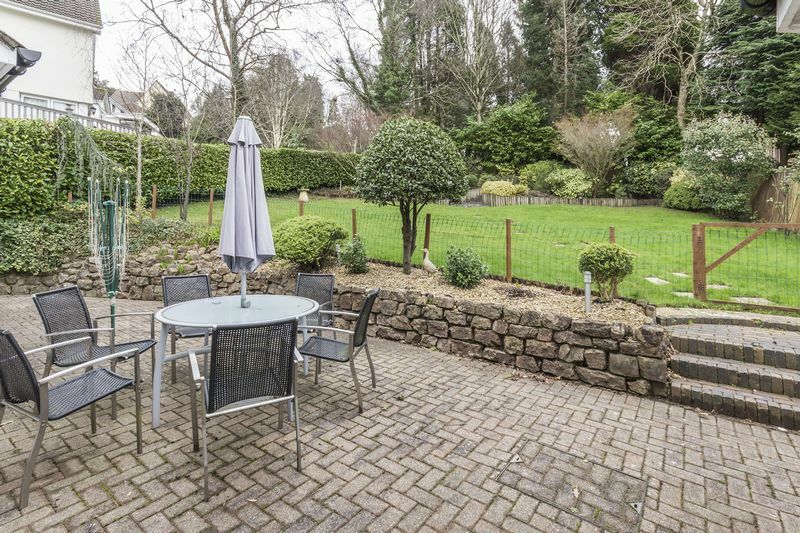 The garden is full of mature trees and plants, and is well maintained and enjoys the sun all through the day. 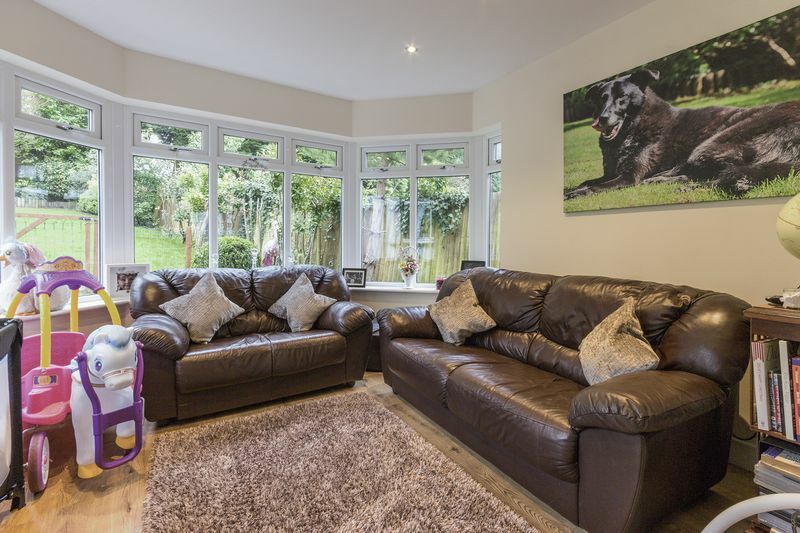 Viewing is highly recommended on this property, it won’t be on the market for long. 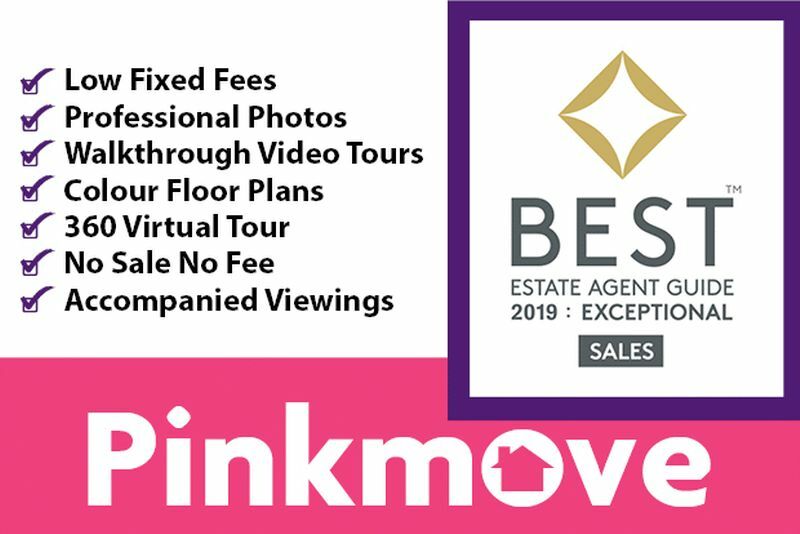 Check out the virtual tour and call Pinkmove to arrange a viewing. 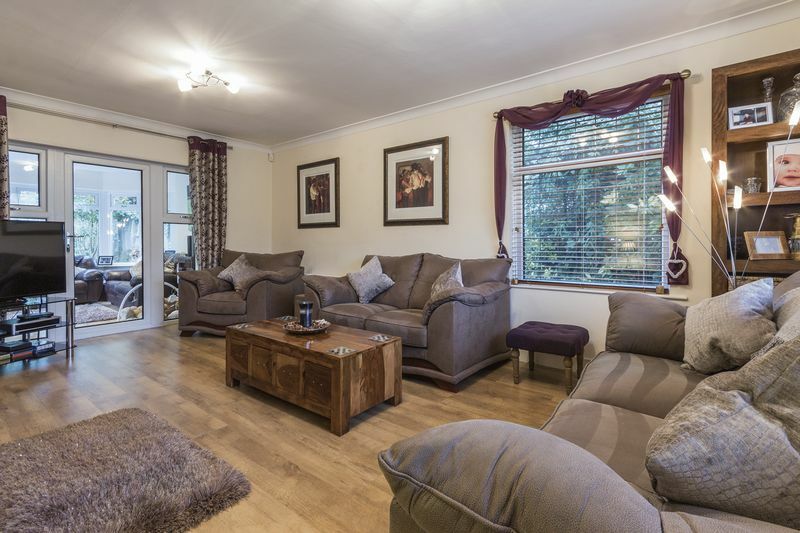 Outside the rear garden is a generous size, there is a large patio area which provides access into the utility room, which is located at the back of the garage and also rear access into the garage. 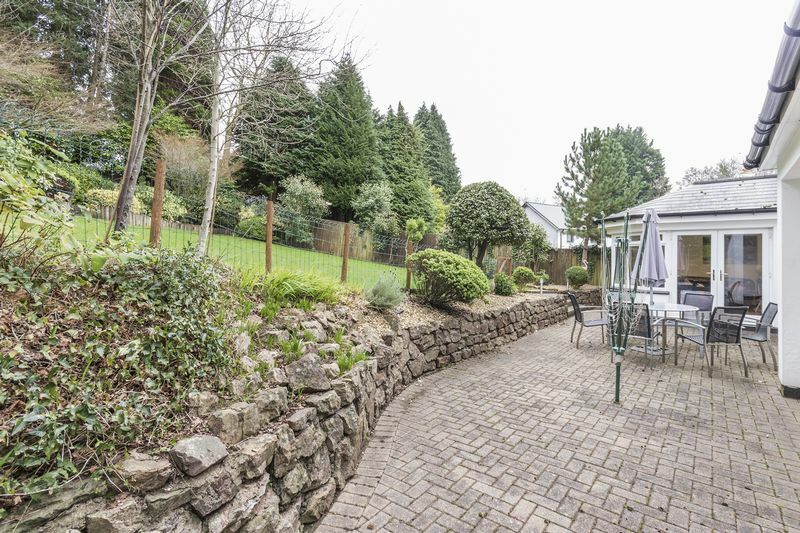 From the patio there are steps up to a gently sloping lawn, at the top of the garden there are three terraces in which to enjoy the sun, as well as enough space for a summer house. 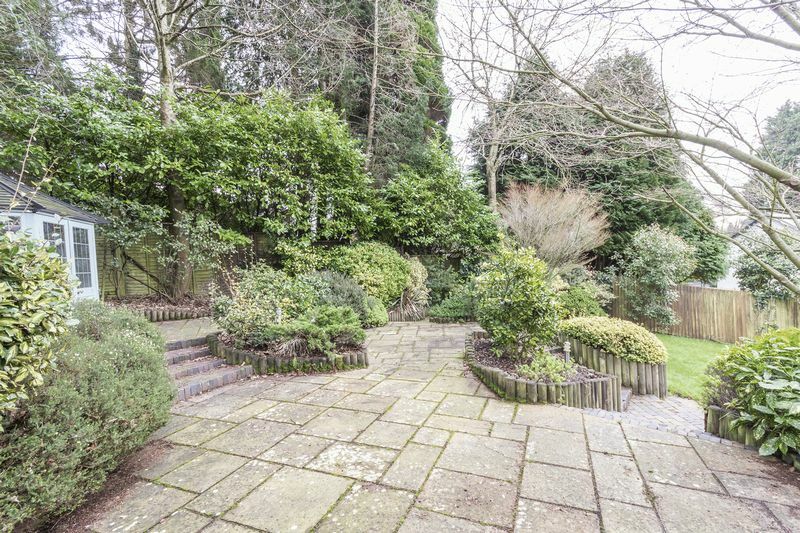 The garden is full of mature trees and plants, and is well maintained and enjoys the sun all through the day.